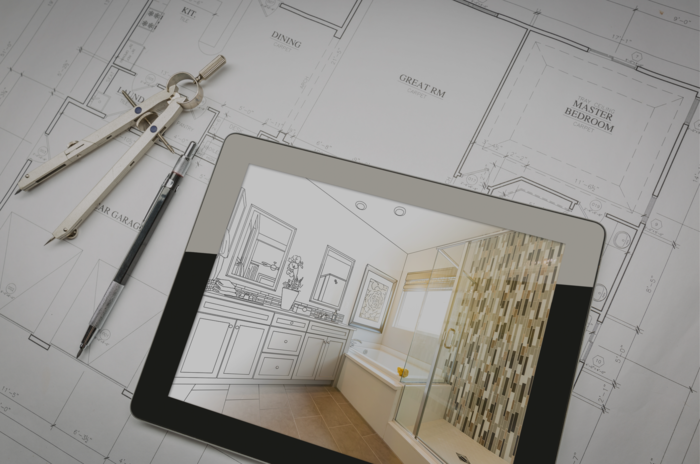 When it comes to renovating a home, homeowners and builders alike should be aware of current home renovations that are not only visually pleasing, but also add a level of functionality that makes living in the residence more practical, economical, and, of course, enjoyable. The following home renovation ideas will provide years of comfort for the family as well as integrate beautifully with the homeowner’s aesthetic. Not only that, but they are on trend to help the homeowner when it comes time to sell the home, increasing its value as well as accelerating the time it takes to complete the sale. It should come as no surprise to anyone who has experienced the stress relief and sheer luxury of an at-home steam shower that this amenity topped Zillow’s list as the most desirable of home additions. MrSteam’s steam showers provide precisely the type of form-and-function renovation that not only contributes to a family’s well-being and improved lifestyle, including health and beauty benefits, but is also economical and particularly eco-friendly. See The Benefits of Steam Bathing to learn more – and to understand why Zillow’s survey showed that adding “steam shower” to their listing descriptions contributed to earning sellers a 29 percent higher sales price than listings that didn’t include it. This is an especially attractive renovation for families that either need to store excess paraphernalia – whether that be tools, patio furniture, holiday supplies, or boxes of old toys and clothing – or who want a space outside of the house itself to be creative in some artistic or practical way. These additions can help keep clutter out of the living portions of the home, while also carving out a private space for hobbyists. NAHB’s 2017 Home Buyer’s report claims that 86% of buyers are attracted by this feature, while Zillow claimed that it helped net sellers a 24 percent premium for homes priced in the middle segment of the market. Another potential use of a detached tiny house – or a separate apartment in the home itself – is a dedicated place for elderly relatives to live. According to Zillow, allowing for this possibility raised the home price by 28%. Living with an aging relative can be stressful, particularly if there is nowhere for that individual to escape the hubbub of a growing family. Providing separate quarters can give the relative a greater sense of dignity and privacy, while allowing homeowners to keep an eye on their health and well-being, and also promote the benefits of a multi-generational family. Like the shed/garage/studio, adding a laundry room into your home is hugely helpful in controlling clutter in the rest of the house. This feature topped NAHB’s list of desirable additions, with a whopping 92% of home buyers finding it of value. It is likely even more attractive these days, with the popularity of Marie Kondo’s Tidying Up Netflix series demonstrating how we all should be folding our clothes. The easiest and most affordable place to put a laundry room is the basement, since the utility lines are already there. But if you can renovate your home to place a laundry room on the bedroom level, that’s considered even more desirable. Closet systems can be used to organize the above laundry room, and certainly help homeowners keep their personal closets in order. By making it easy to find everything and to put it away simply and easily, there is an appreciable improvement in the entire house’s aesthetic. Zillow notes that listing a home with the term “open shelving” can speed up a property sale by 14 days. With our focus on form and function, it’s no surprise that energy-efficient appliances, solar panels, and windows rate high on the home buyer’s radar. According to RealEstate.com, solar panels brought sellers an extra 40% over other entry-level home listings, while also noting that a growing number of buyers are looking for home energy features. NAHB claims 90% of home buyers want these features, especially Energy Star rated windows and appliances. After all, these windows can cut heating and cooling costs by 12%, while energy-efficient appliances can save homeowners $45 or more on their utility bills. Another energy-efficient addition is a ceiling fan, which reduces cooling costs during the hot months when used in concert with an air conditioner. Once the desired temperature is reached and the fan switched on, Energy.gov says that the thermostat can be raised by four degrees without sacrificing comfort. And if the temperature is temperate enough, you may not even need that air conditioner at all. According to Realtor.com, a fire pit can increase the price of your home by 25% - a great choice for even the smallest of yards. Exterior lighting, including motion sensors, spotlights, and walkway lights, is another outdoor draw, with about 92% of home buyers finding it an attractive addition. This is a true form-and-function amenity and adds to the security of your home as well. Providing an attractive patio is popular among current and potential homebuyers – as entertaining outdoors is always a coveted activity. Per NAHB, 82% of home buyers want this feature when they’re searching out a new home. For top-range homes, Zillow points to listings that include sub-zero fridges as bringing in a 38% premium. Other exclusive kitchen amenities include pizza ovens, multifunctional large islands, farmhouse or extra-large sinks, and eat-in kitchens. The latter, a huge convenience for families with small children, was considered desirable by 82% of buyers – adding to a family’s lifestyle as it becomes the most natural place to gather. Carpeting, a sign of indulgence several decades back, is considered a nuisance now – hard to clean and capturing odors that are difficult to dispel. Instead, homes with hardwood or luxury vinyl flooring are viewed as both aesthetically pleasing as well as much more durable and easier to care for. NAHB’s survey noted that 87% of buyers preferred hardwood floors. By considering both the form and function of these and other popular features, today’s homeowner not only enjoys years of personal comfort and aesthetic pleasure but is well positioned when it comes time to sell the property. And we at MrSteam are delighted – though not surprised – to note that steam showers are one of the most effective sales terms in property listings today!